Dr. Kalia completed his undergraduate medical training at the University of Calgary. He completed his internship and residency in Dermatology at the University of British Columbia, and was the first resident to enroll in the CIHR-SRTC and simultaneously complete a Masters in Healthcare and Epidemiology. He also completed photodermatology training in United States, Australia and Europe. During his residency he received many awards for his research and scholastic accomplishments. Currently, Dr. Kalia is the President of the Dermatology Society of British Columbia and Board Director of the Dermatology Section of British Columbia. He is the Integument Systems Lead of the Undergraduate Medical School at the University of British Columbia. He is the Co-Director of the Psoriasis and Phototherapy Clinic at Vancouver General Hospital. Dr. Kalia is the Co-Director of the Clinical Trials Unit at the Skin Care Centre. His clinical interest includes photodermatology which encompasses skin diseases induced by ultraviolet radiation such as with acute exposure like polymorphous light eruption and with chronic exposure inducing skin cancer. In addition, he uses various light sources such as phototherapy, photodynamic therapy and lasers to treat many skin conditions. His research interests include epidemiology and health outcomes with a focus in photodermatologic conditions. Dr. Kalia is one of the Principal Investigators within the Photomedicine Institute and is researching the use of optical devices to enhance the diagnosis of skin conditions. 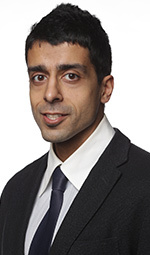 Dr. Kalia enjoys mentoring undergraduate students, medical students, postgraduate students, residents and fellows. He is leading a provincial effort in British Columbia to reduce skin cancer. These efforts include collaborating with students and the Canadian Cancer Society to prevent skin cancer in youths, elderly and high-risk patients.